Marion is a partner in Boyd/Dunlop-Addley & Associates Inc. In January of 2007, Marion was appointed a Bencher of the Law Society of Upper Canada. On June 14, 2011, Marion received an Honourary Doctorate of Law (LLD) from LSUC. In addition to her responsibilities at the Law Society, Marion is currently Co-chair of the Pastorial Relations Committee of the Bruce Presbytery of the United Church of Canada. Marion is a former adjudicator for the Criminal Injuries Compensation Board of Ontario. From 1990 to 1999, Marion Boyd was the Member of Provincial Parliament for London Centre. Marion was a member of Cabinet throughout the duration of the New Democratic Government of Bob Rae. She first was appointed Minister of Education from October 1, 1990 to October l991 when she became the Minister of Community and Social Services. In February, 1993, she became the first woman appointed as Attorney General for the Province of Ontario. In September of 1991, Mrs. Boyd accepted an additional assignment as the Minister Responsible for Women’s Issues, aresponsibility she retained until the election of June 8, 1995. Marion Boyd has served her community in a remarkable fashion over many years. Between 1968 and 1984, Marion held positions as a library technician, an executive assistant to a university president, an executive assistant to a university faculty association and the administrator of a non-profit childcare centre. 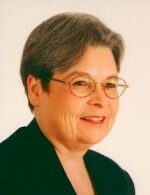 As the Executive Director of the Battered Women’s Advocacy Centre from 1984 to 1990, she developed a local, national and international reputation for her expertise and action on the issue of abuse of women and children. She was twice president of the London Status of Women Action Group, was a chair and board member of the London Cross Cultural Learner Centre, served on the Board of the Thames Valley Addiction and Referral Centre, was a member of the Community Service Sub-Committee of the Thames Valley District Health Council, received the London Jaycees Outstanding Young Londoner Award, and was honoured with both the Mary Campbell Community Service Award and the John Robinson Anti-Violence Award. Having run for public office in London North in 1985, London Centre in 1987 and London East in 1988, Marion was elected in 1990 as the Member of Provincial Parliament for London Centre (defeating Premier David Peterson). In 1995, she was re-elected to the Ontario Legislature as the member for London Centre. In 1968, Marion graduated from Glendon College, York University, with an Honours Bachelor of Arts in English and history. Marion lives with her family in Inverhuron, Ontario.